Though the rain hasn’t moved, the gardening year has. Several of the early spring flowering shrubs and plants such as the Skimmia and Spirea have finished. The ornamental red-currant is coming to end and now it’s the turn of the cherry blossom to carry on the flowering into early summer. 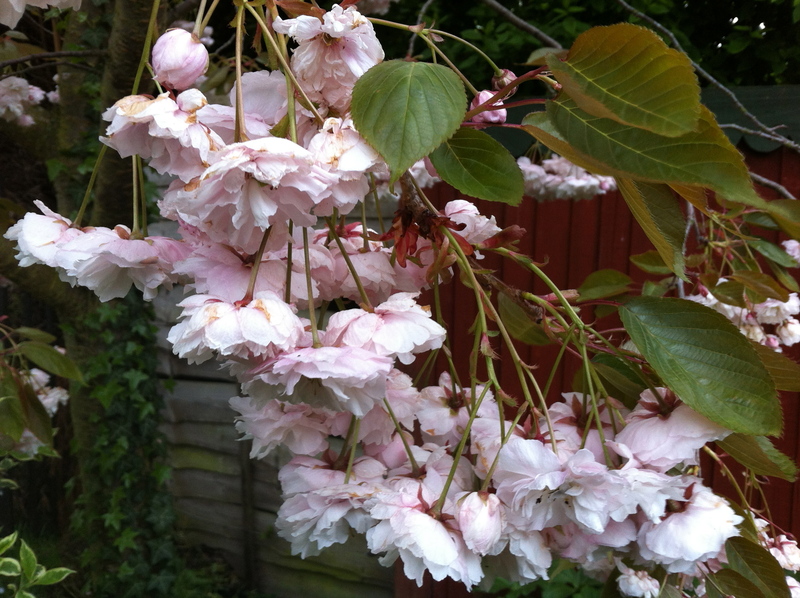 I don’t have a very good picture of the blossom this year because the weather has been so bad that all the pictures I try and take are too dark and look awful – there’s been no sunshine. With the dry, sunny spring we had last year we sat, ate and relaxed underneath the cherry blossom but the way the weather is going this year, it will be over before we’re able to walk around on the grass without squelching. It’s a such a shame, I look forward to the blossom but I’m going to have to enjoy it from the warmth and dry of the kitchen window.